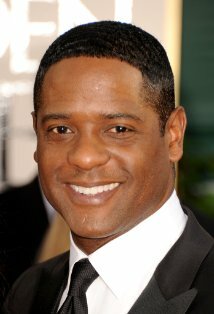 Our staff are excited to announce that actor Blair Underwood has joined our team in communicating Vertus’ story! Blair has expressed great interest in our project and believes in the values Vertus upheld throughout his life. After reaching an agreement with Author/Producer Wilbert Smith and Director Brett Leonard, Blair was named the official face of Hole in the Head: A Life Revealed as the story’s chief endorser. Mr. Leonard has recently been named by The Producers Guild of America, in association with Variety, as one of its “Digital 25,” recognizing the 25 leading visionaries, innovators, and producers who have made significant contributions to the advancement of storytelling through digital media. 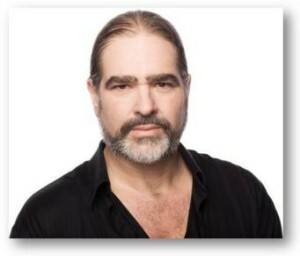 The Guild’s 4,500 members, including producers of film, television and new media, along with a distinguished Digital 25 Advisory Board, voted Mr. Leonard for this honor. Other recipients include directors James Cameron and Ridley Scott. Click this link to view the complete 25 member consortium. We are pleased to reveal that author/producer Wilbert Smith will be making a fall 2013 trip to the state of Indiana to communicate Vertus’ message. Additionally, the trip will be focused on positively impacting young minds by educating attendees on the importance of medical ethics and the rich history of the Lyles Station community. As of now, Wilbert is scheduled to be present at Indiana State University on September 9th-10th to host a film screening and discussion with students and community members. Stay tuned for additional information regarding the visit! Each person who witnesses the story of Vertus Hardiman not only joins us in family, but in spirit. The spirit that defined Vertus was full of love and compassion. Rather than holding grudges, his life was full of forgiveness—even to those who turned the sword in his direction. As of now, our channel for the documentary’s trailer has received over 750,000 views. Almost a million people have clicked their mouse to be a part of Vertus’ story! Let’s continue to share his life and legacy with family and friends around the world! The Hole in the Head staff would like to thank everyone for sharing their warm thoughts and feelings from the heart. We will be sure to keep you informed on the impending release of the DVD and book! Hole In The Head: A Life Revealed was accepted by the Pan African Film Festival this month, where it has been nominated for the Best Documentary Award. Additionally, the film was recently presented the Directors’ Choice Award at the International Film Festival of Nashville, Tennessee, for Socially Relevant Topic.